On November 4, "OTERAKUGO NO SUSUME", an event to like the Buddhism through rakugo (Japanese traditional comic storytelling) was held at the Higashikurume Kaikan. Thank you for coming. I appreciate Mr. TATEKAWA Dankei. 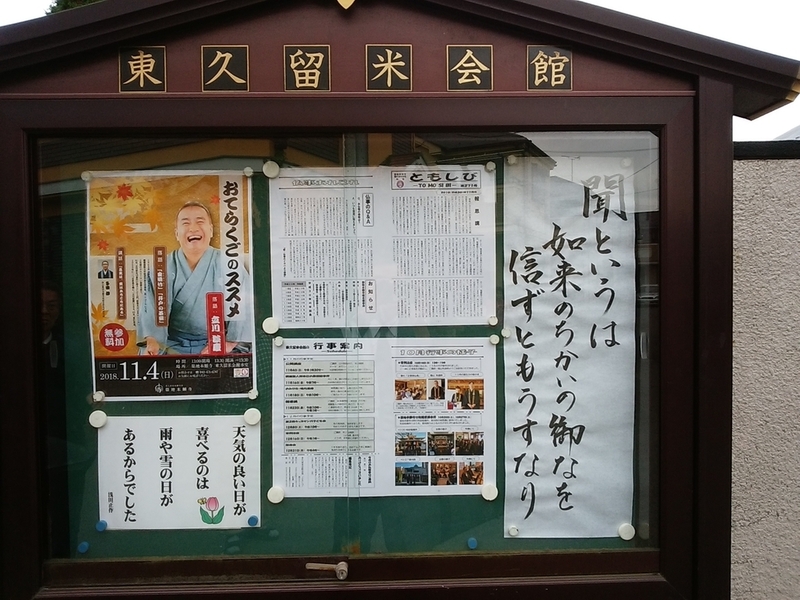 First, Mr. TATEKAWA Dankei performed rakugo "Kinmeichiku" and "Ido No Chawan". 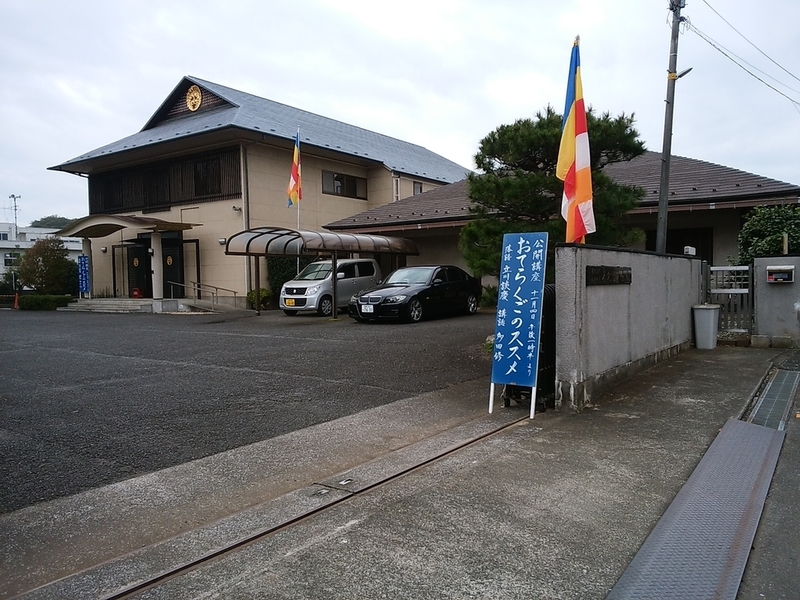 Next, I talked about relationship between rakugo and Buddhism. About 400 years ago, a Buddhist priest preached Buddhism with short funny stories. His funny stories are the origin of rakugo. Follies are often materials of funny stories. Then, when someone says "Human beings often do follies. Thus, you can also do follies", it become a teaching of the Buddhism. So, funny stories and preaching Buddhism have combined since the ancient times.